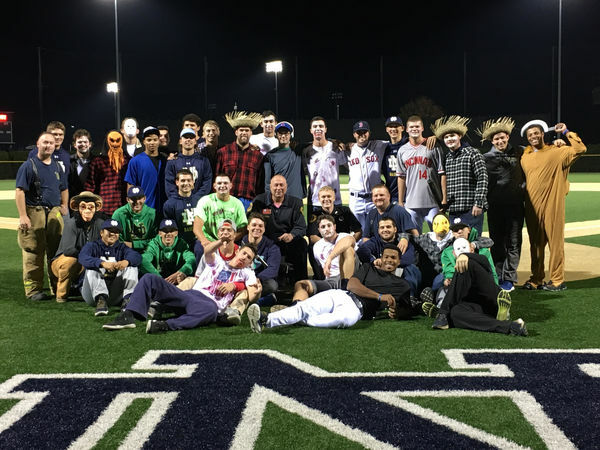 The Notre Dame Baseball team will give tours through the Haunted Eck Stadium at the conclusion of Friday night’s scrimmage on Friday, Oct. 20! We invite fans to come to our game dressed in their Halloween costumes and stay to be guided throughout the stadium and locker room by one of our players post-game. Children can then trick-or-treat on the field at the end of the haunted stadium tour while participating in skills stations. First pitch will be around 5 p.m. with tours of the Haunted Eck projected to begin around 7 p.m. Admission is free, but donations will be accepted at the gate. All proceeds will go towards battling pediatric cancer. Come take a tour of the Haunted Eck Baseball Stadium from one of the baseball student-athletes and trick-or-treat on-field!